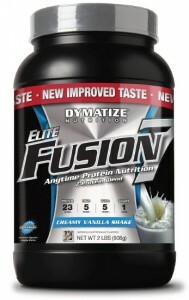 Fusion 7 delivers comprehensive nutrition and best in class taste, making it the perfect protein to take anytime. It has 23 grams of protein from 7 high-quality protein sources to provide sustained muscle nutrition over several hours. Fusion 7 also delivers fiber, calcium, vitamins, and CLA, providing essential nutrients to help your body reach its full potential. Plus, it has been re-formulated to create the richest, best-tasting protein on the market. Two New Delicious Flavors in addition to our improved Rich Chocoloate!